We’ve been helping my mom and stepdad out doing some projects and this one wore me out! 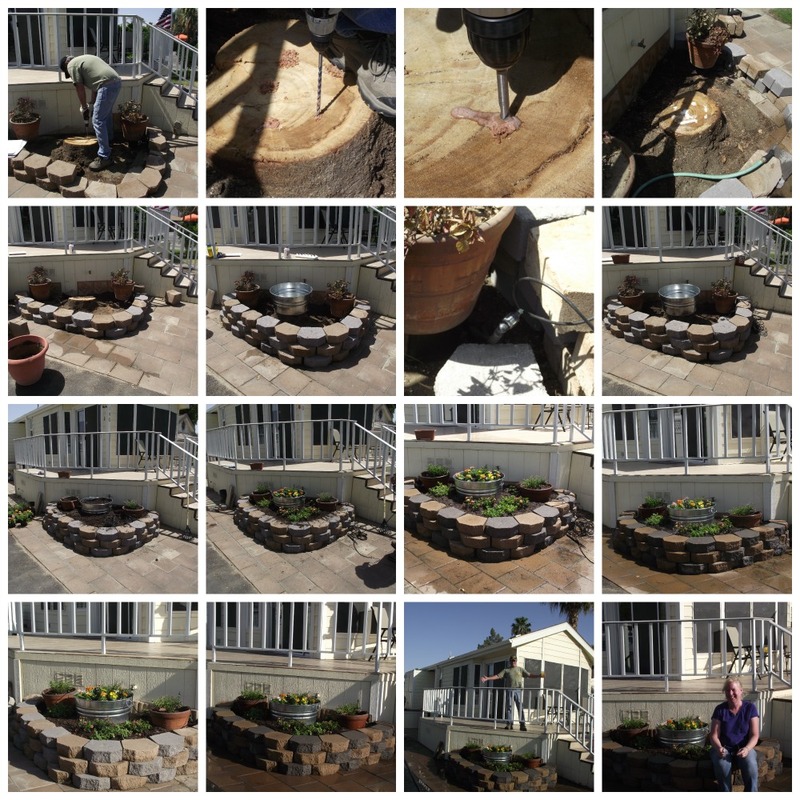 The tree had to go because it was diseased. The part we hadn’t planned on was the unseasonably hot day. 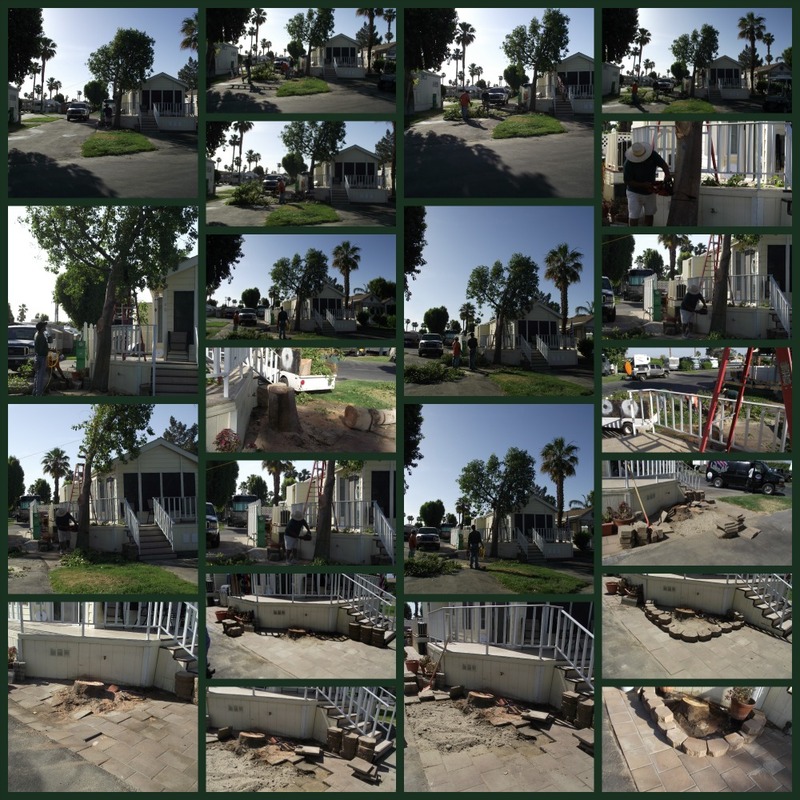 It was 106 degrees by noon on the day the guys decided to take out the tree. We wanted to get it handled immediately before it got any hotter and we leave for a family reunion so we did pretty good for 24 hours. Please update your readers and follow me to my new home. Hope to see you there. 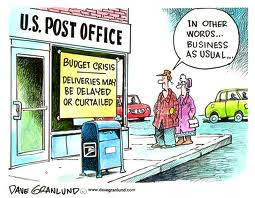 I don’t think there is anyone that can say they have never had a problem with the postal service. Living in small towns seems to be worse than large ones in my opinion. Several Weeks ago I mailed a priority envelope to my mother with delivery confirmation. Should have been delivered 2 days later. It didn’t arrive so we did a search and long story short 10 days later it finally arrived after taking the scenic tour through San Bernardino and Anaheim multiple times. It seemed to always be leaving “somewhere”, but never arriving anywhere. When I asked the postmaster about it and getting my money back because service wasn’t as promised, she told me it was my responsibility to have comeback sooner so she could call and nudge it along? Really WTH? Since it never really was anywhere because it had always just left, how exactly do you nudge it along? Needless to say I did not get my money back. Last week while I was waiting to mail a another priority envelope I overheard the woman at the front of the line trying to give a large stack of mail to the Postmaster because it wasn’t hers. It had been delivered as a forward to her house, BUT she doesn’t have a clue who the addressee is. The Postmaster kept insisting that it was the homeowners responsibility to get in touch with the addressee. WTH? Perhaps the mistake was made by the person who input the address change into the postal computer? Perhaps the addressee misspelled a street or transposed the numbers – EITHER WAY – it was the postmasters responsibility to accept the mail and say we’ll figure this out and stop it from happening. Flash forward to this week. I opened my PO box to discover a crumpled up envelope. On the end it had a sticker that read “RECEIVED UNSEALED IN EUGENE P&DF”, whatever that means. 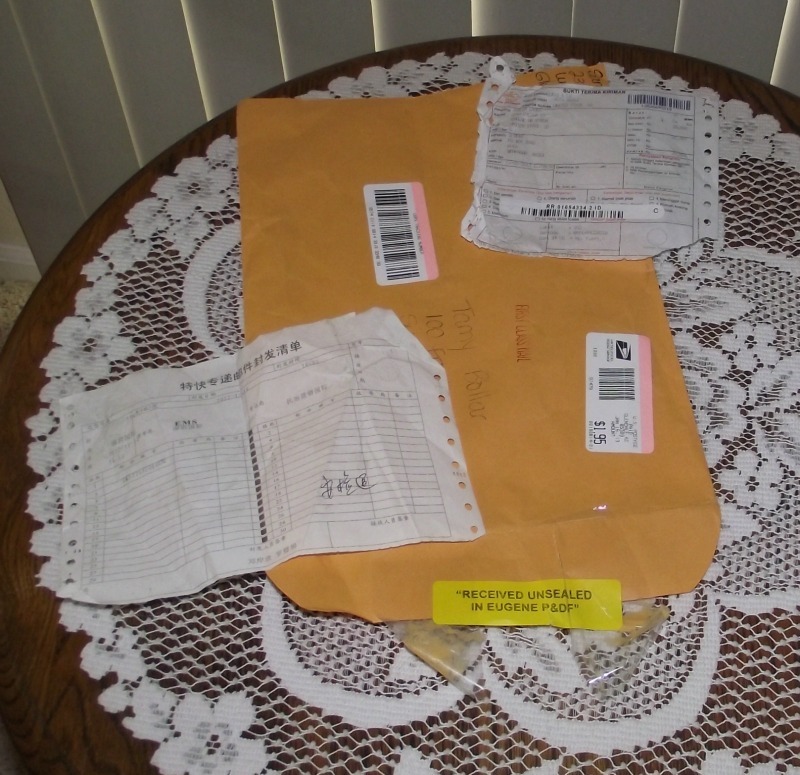 Inside were 2 crumpled invoices – 1 in a oriental language and another addressed to Tricia Eagen in Eugene from KUTA DENPASAR? No clue what these are. When I asked the Postmaster I had to identify what was in the envelope. 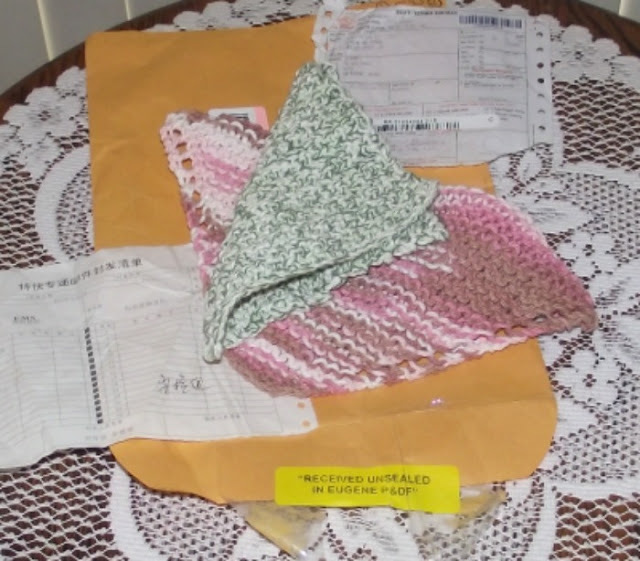 Fortunately the return address was intact so I identified the contents and was presented with these beautiful hand knit dish cloths from my sweet friend Sandra over at Diary of a Stay at Home Mom. Thank you my dear friend, I love them! I’ve missed you all and look forward to catching up. Popping in to let everyone know I’m still alive and will be back in the swing of things soon. This cross country move has had its ups and downs! I’ll have DSL and be up and running next Tuesday or so! Popping in to let everyone know I’m still alive and will be back in the swing of things soon. 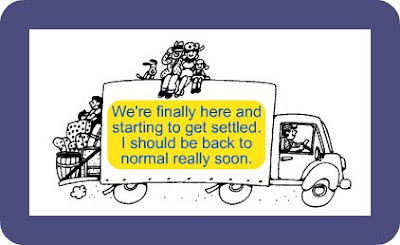 This cross country move is having its ups and downs! I’ll have DSL and be up and running next weekend! I look forward to settling into a normal routine and catching up on all my blog reading as soon as I have DSL again. It should be just a few days.